Enjoy a weekend complete with festivals, shows, music and more! Come out this weekend for music, laughter, festivals and shows on Long Island! On Friday, it’s the start of the Long Island Spring Home Show at Nassau Coliseum. During the evening, enjoy the Paramount Comedy Series starring former SNL stars or the performance of All About Eve at Bay Street Theatre. On Saturday, catch former New York Yankees batboy Luis Castillo at a book signing event at the Barnes & Noble in Bay Shore. Saturday is also the start of the 4th Annual Craft & Gift Show at Christopher Morley Park. 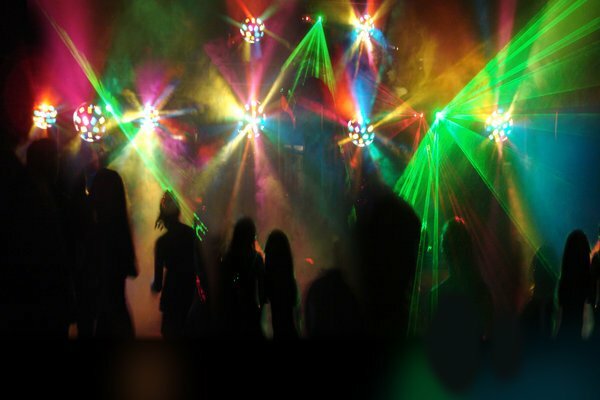 During the evening, head to Memorare Ballroom for a disco fever dance party. On Sunday, stop by the Bellmore Spring Festival. Atlantic Wind Symphony is also performing at the Patchogue Theatre for the Performing Arts. During the evening, take part in the Sands Point Preserve event featuring classic cabaret and dinner. Check out the details below! Info: Spring is here and home remodeling, renovations, landscaping projects and new home decorating begins! Come by the Long Island Spring Home Show for ideas and ways to save money for your next home improvement project. This is a 3-day event. Info: Come out for laughs at the Paramount Comedy Series starring former SNL stars, including Jon Lovitz, Chris Katan and Tim Meadows. Info: All About Eve tells the story of aspiring actress Eve Harrington. Find out how she maneuvers her way into the lives of Broadway star Margo Channing, playwright Lloyd Richards and director Bill Sampson. Info: Stop by for the annual family event where you can interact directly with artisans of high quality crafts and gifts. This is a 2-day event. Info: Mickey B and DJ Valentine of DJs on Fire will fire up the Memorare Ballroom with disco fever. There’s also going to be a live performance by France Joli, Prentiss McNeil and the Disco Unlimited Dance Band. A hot dinner buffet is also available on site. Info: Enjoy this festival with family and friends. It’ll feature dozens of vendors with handcrafted items, jewelry, accessories, clothing, home décor and unique gift items. Info: The Atlantic Symphony is the oldest fully professional concert band on Long Island. Come out to enjoy the wonderful music is creates. Info: Enjoy a concert, dinner, dessert and cocktails at the Great Hall of Castle Gould. The evening is complete with classic Cabaret songs with vocalists Erin Davis, Sally Mayes and James Snyder with Steven Lutvak directing. Reserve your seat ahead of time. Subject: LongIsland.com - Your Name sent you Article details of "Hot Spots: Weekend Watch for April 5 through April 7"